Lenovo Air TWS Bluetooth Earphones will be known for its minimal design and simple appearance. It is manufactured from the sturdy materials thereby making it a highly durable piece. The great part about this device is its convenience. You will not face any trouble of tangled cords and you can easily manage things by pressing smooth buttons available on either side of earbuds. The nozzles of earbuds tip are of a right length and they are placed with a perfect angle. You will have a luxury of having three pairs of ear tips out of which you can pick one that you find highly comfortable. The earbuds will sit perfectly in your ears and they will not come out even if you use them in unstable situations such as jogging or traveling. If you are a fitness freak then you will definitely love this device. Recommended for you: HUAWEI Honor FlyPods CM – H2S Bluetooth Earphones Feature Review. Lenovo Air TWS Bluetooth Earphones will be known for outstanding audio reproduction and clear vocals. But if you are a music lover who likes to play his favorite track with high bass then this device may not fulfill your expectations. 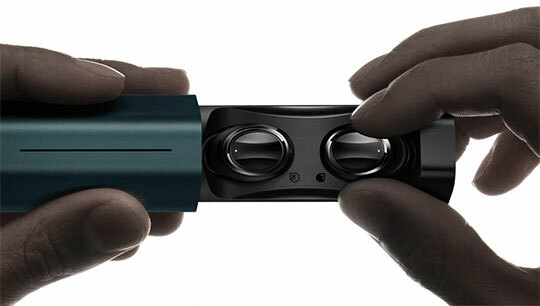 The device is equipped with a graphene vocal unit of 6mm which is capable of delivering natural sound quality. Though this device can easily resist water, it is not advisable to carry it underwater. 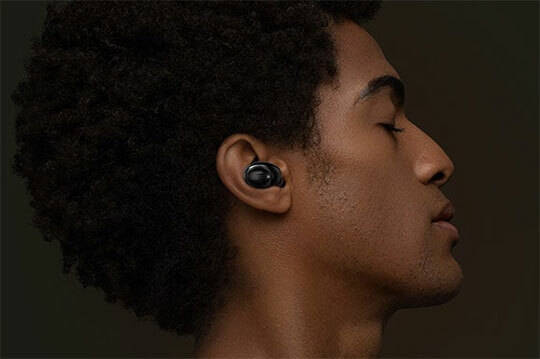 Lenovo Air TWS Bluetooth Earphones comes with several unique functions such as magnetic earbuds holder, noise canceling technology, IPX5 waterproof facility, and AI smart antenna. It also brags about an extremely compact BES IZ 2000 AI chipset that is known for offering high performance. Lenovo Air TWS Bluetooth Earphones will be recognized for its amazing rate of music transmission along with high efficiency in power consumption. The device comes with a 55mAh battery for earphone and 400mAh charging dock that offers a standby time of approximately ten hours. You can easily charge earbuds by simply putting them inside charging bin. The earphone takes around one hour while the charging dock takes approximately two hours for charging. The device offers music time of 10 hours and talk-time of 3 hours. It is available in two different variants Black and White at a price of around $55 on GearBest. These earphones let you do a lot of multitasking while you are busy doing the traveling. You can answer your phone calls, switch music tracks and do volume control with total ease using this device. This extraordinary device is also equipped with a microphone, Bluetooth and voice prompt functionality. If you have faced technical issues in your earlier earphone because of excessive sweat then this device will let you get rid of this problem. Lenovo Air TWS Bluetooth Earphones are sweatproof and you will feel utmost convenience while using them in any weather. Lenovo Air TWS Bluetooth Earphones comes with dimensions of 0.91 x 0.87 x 0.55 inches. It weighs only 0.0045 kg. The whole package contains a single pair of earphones, 1 USB cable, 1 charging dock, 3 pairs of ear-tips and a user manual. You may also like: Teclast F7 Plus Notebook / Ultrabook Feature Review. Lenovo Air TWS Bluetooth Earphones will be known as the perfect pair of tiny earbuds. 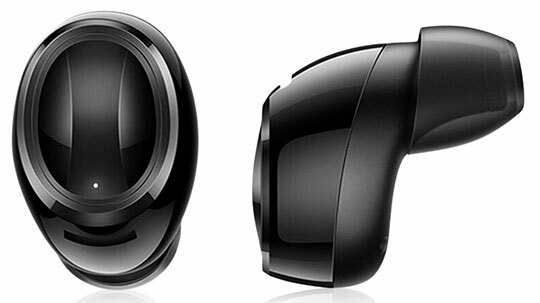 They are built with an amazing design and what is more promising about this device is its unique sound quality. If you haven’t tried wireless earbuds before then this is an ideal device to get a memorable experience of enjoying your favorite music. It is hard to get such a top quality experience on wired headphones or conventional Bluetooth earphones. These are perfect wireless earphones that you can consider using for the long term without facing any trouble. Special Note: Are you are from the United Kingdom, Greece, Costa Rica, Sierra Leone, Poland, Netherlands, Romania, Czech Republic, Slovakia, Hungary, Turkey, Cyprus, Belgium, Bulgaria or Slovenia? If yes, we have a piece of good news for you. For the time being, you can get this earphone at a price of $52.99 using the coupon code “GBDEALS11”. This code is valid until 15th March 2019. 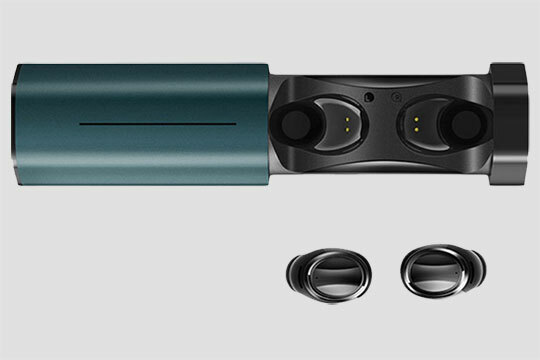 Lenovo Air TWS Bluetooth Earphones will be known as the perfect pair of tiny earbuds. These are perfect wireless earphones that you can consider using for the long term without facing any trouble.